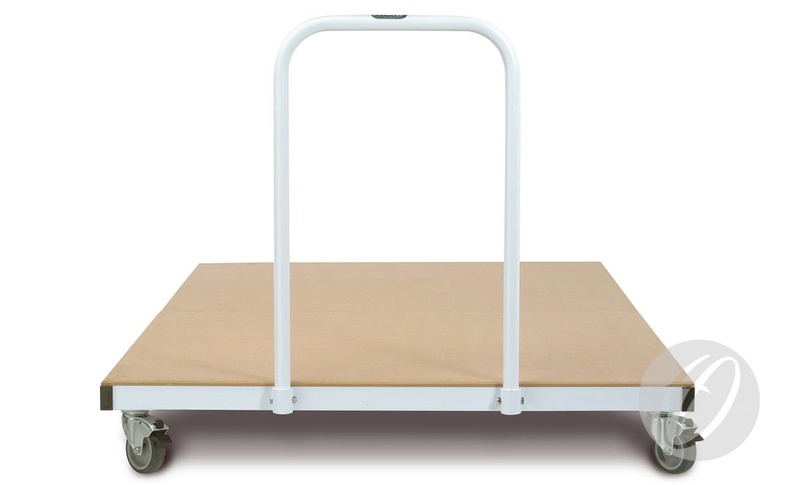 Heavy Duty Flat Mat Trolley with two piece design, allowing it to be used at its full length for large mats, as well as a shorter, more manoeuvrable length for smaller mats. Frame is manufactured from 50mm x 25mm steel and is polyester powder coated white. Six non-marking 100mm castors, four swivel and two fixed wheels for stability. Two front swivel wheels fitted with foot brake. 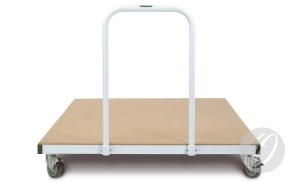 Two piece design allows half of the trolley to be used separately for transporting smaller size mats. Max number of 25.4mm mats: 33.